This necklace is made with a rainbow of colors. There is red, yellow, blue, purple, orange, white, green and yellow. 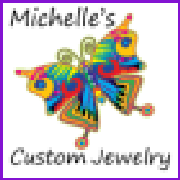 Each group of colors is separated by a silver plated micro bead. 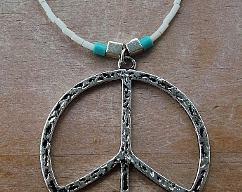 The peace charm is about an inch long and is lead free pewter. 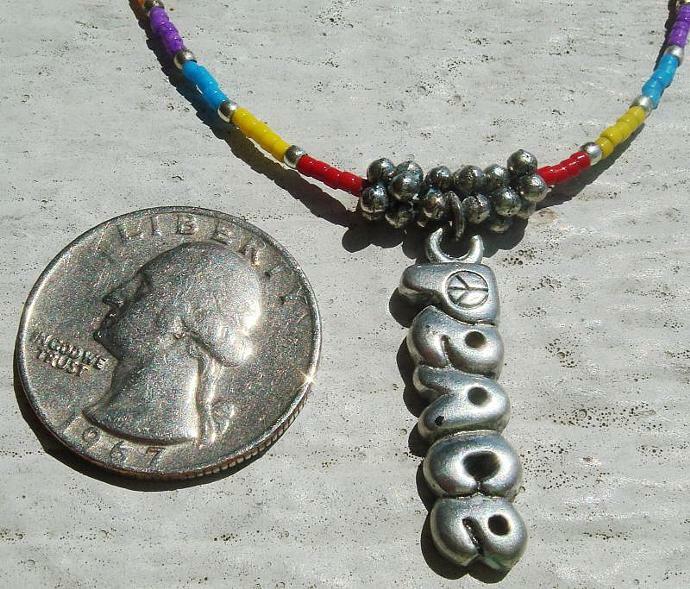 The beads on each side of the charm are lead free pewter too. 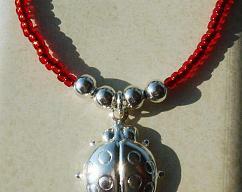 This necklace is about 19 inches long including the lobster claw clasp. A chain extension can be added free of charge and at your request. Please let me know if you have any questions. I would be happy to help you with anything.